Committed to our Customers, committed to service. Bartlett’s flour milling capacity exceeds four million pounds per day. We produce both bulk and bag flour and specialize in milling custom flour blends tailored to meet our Customers’ specific needs. Bartlett maintains an on-site cereal chemistry lab and technical staff at each mill to monitor flour quality and test our products. And, we maintain rail and truck fleets to ensure timely delivery to our Customers. Our dedication to quality and to Customers is reflected in the many awards Bartlett has been given for its superior service. Bartlett Milling produces a wide range of specially formulated feeds for dairy cattle, beef cattle, horses, swine, poultry, dogs, game birds, rabbits, deer, goats, sheep, and ducks. Our dedication to quality service is demonstrated in our nutritionist, who works with industry experts on feed formulations as well as directly with producers to address feeding issues. We deliver both bulk and bagged feed directly to customers. Our feeds also are available through retail outlets throughout the southeast. 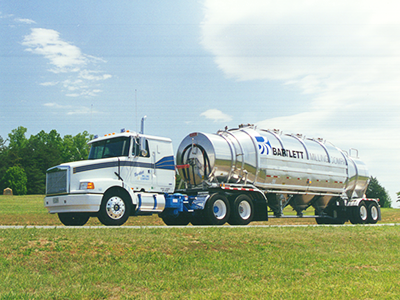 Bartlett Milling sells feeds and other animal care products through our distribution centers in Goldsboro and Shelby, North Carolina; Florence, South Carolina; and Rustburg, Virginia.